The suitability of trips varies and can range from general flat water events suitable for all club members and families through to long distance paddles in challenging waters. A qualified club coach/ leader will be in attendance. To confirm attendance, phone or text the leader responsible for the trip. You can also post on the forum thread to confirm attendance. If in doubt then ask the organiser. Session aimed at providing skill building. A qualified club coach/leader will be in attendance. To confirm attendance, phone or text the club leader responsible for the trip. You can also post on the forum thread to confirm attendance. If in doubt whether the trip is within your capabilities or ability level then ask the leader first. A white water trip usually aimed at the paddlers who are a minimum of 3 Star. Exceptions are usually made for paddlers who are competent 2 Star and approaching 3 Star. To confirm attendance, phone or text the club leader responsible for the trip. You can also post on the forum thread to confirm attendance. The river, water levels and weather all play a part in setting the level of the trip. Just because you paddled a white water trip on one occasion does not mean you will not be able to attend again. Indoor pool session held at Coleraine leisure centre. 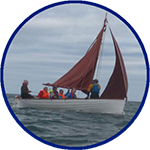 The range of activities varies from general skills, specific boat focused sessions, rescue training to polo. Contact the club pool member listed to arrange attendance. Pool sessions incur an additional fee per session. These are official events usually organised by CCKA, other clubs and organisations. In almost all cases canoe sport races are open to paddlers of all abilities. To confirm attendance, phone or text the club leader responsible for the race teams. You can also post on the forum thread to confirm attendance. Surf sessions listed will be lead by a qualified club coach/leader. In addition to the listed dates, club members are often out when the conditions suit and people interested in surfing usually link up to organise peer surf sessions. Surf sessions also include the Junior Blader’s Hub. These are sometimes open for members to attend. A closed club paddle is usually organised by a club member for a specific purpose and not open to club members in general. The reason for events being closed usually relates to either the level of difficulty or strict number restrictions. This is formal training aimed at fulfilling a qualification pre-requisite or course. These events often have coach to candidate ratios so if you want to be involved you will need to contact the coach. In general there will be a cost for these events. This fee will usually be significantly less than those charged by other organisations. An assessment session run by qualified individuals for the purpose of formal assessment. In general there will be a cost for these events. This fee will usually be significantly less than those charged by other organisations. A peer paddle is not an official club event but a trip or paddle agreed to by a group of club members. These events can be organised by any club member. A peer paddle should involve equally skilled and qualified members and the issues of safety and risk assessment are taken on by those participating. If in doubt, seek advice from a club coach or leader. Events relating to the running of the club and land based activities. These include planning meetings, coaching panels and the Annual General Meeting (AGM). Most meetings are open for any club member to attend unless otherwise specified. This includes miscellaneous events not covered by other descriptions such as the Portrush raft race, safety cover for swimming competitions and traditional sailing regattas. If you are still unsure about your suitability to attend an event, please contact the organiser for further advice.